Keep the fire in your diamond alive. 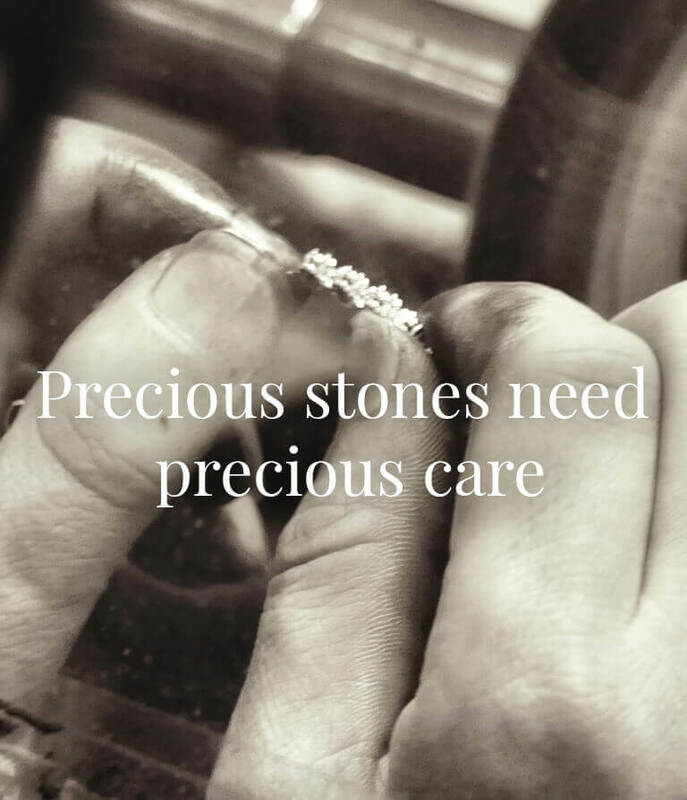 Taking care of your diamonds is made easy. Just visit Raj Diamonds every six months, and have your diamond mountings and settings checked free of cost. 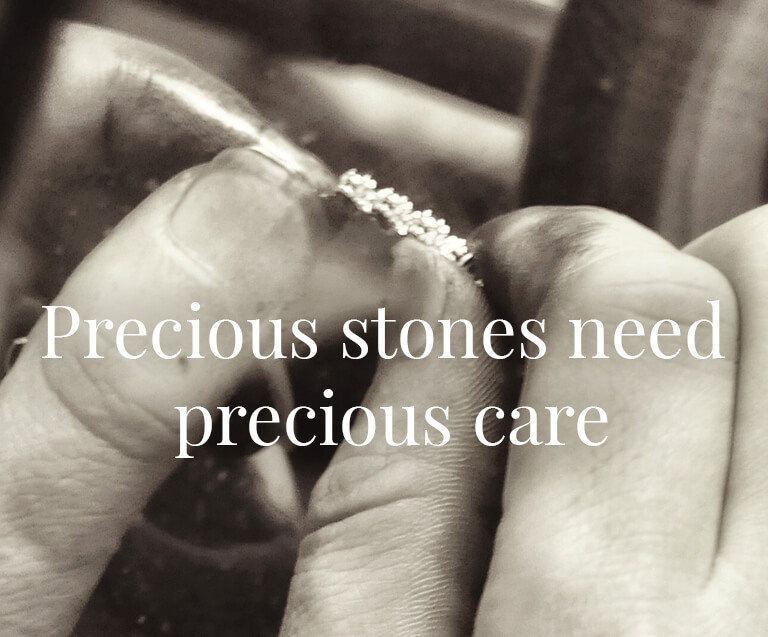 It is essential not to wear diamonds when you’re doing activities such as gardening, washing up or sports.They should be stored carefully and kept separately from other pieces of jewellery when not being used. Here are a few do's and dont's to keep the light shimmering in that diamond forever. Come in at least twice a year to check your rings for loose prongs and the wear of the mounting. Keep your diamond jewellery in a fabric-lined jewellery pouch or in a box with compartments when not in use. Avoid wearing your diamond jewellery when doing routine or household chores. Although diamonds are durable, they can be chipped by a hard blow. Chlorine/Bleach can pit and discolour the mounting. Keep your precious jewellery safe and looking new, by storing them properly. Store jewellery in sturdy cases with soft, lined interiors to avoid rubbing against hard surfaces and scratching, or preserve in soft fabric pouches. Store individual pieces separately to avoid tangles and scratches. Keep your jewellery boxes away from high heat and excessive moisture, which can damage gemstones. To clean your jewellery,use lukewarm water and a little shampoo and scrub gently with a soft brush. Avoid storing diamond jewellery in velvet based boxes and pouches.